We are pleased to announce that the Burgoyne Bridge has received 3 CISC (Canadian Institute of Steel Construction) Awards of Excellence! Gabriel Mackinnon illuminated the Burgoyne Bridge, a 7 span, 333 meter highway bridge across the Niagara River near St. Catherine’s. 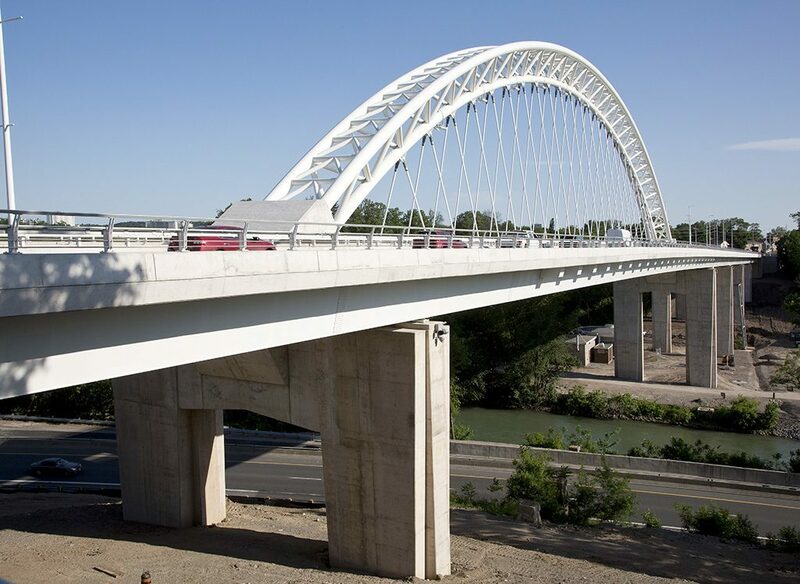 The project was completed in 2016, with Parsons (formerly Delcan) and many of the same team members with whom we shared such success on the Vimy Bridge in Ottawa. The projects differed somewhat, with Burgoyne receiving extra illumination to highlight the tall pier supports below the bridge decks. 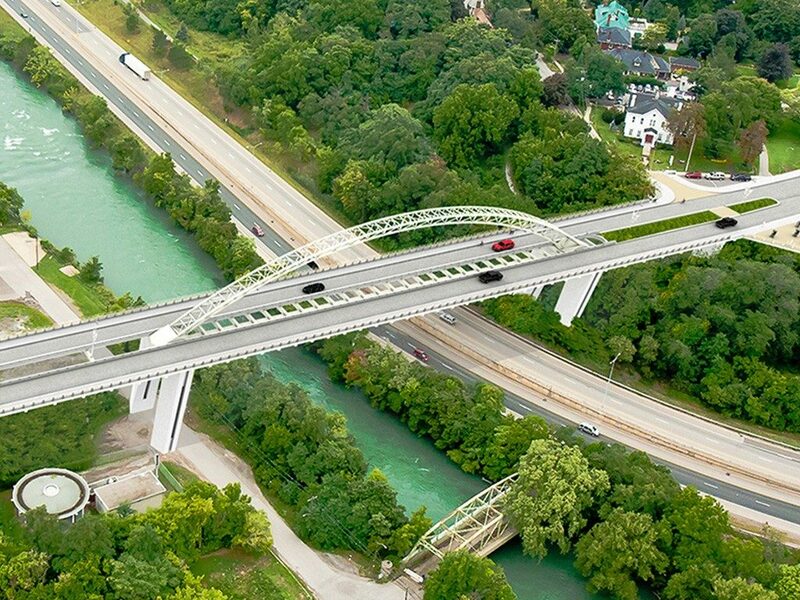 The lighting design for Burgoyne Bridge uses standard roadway fixtures and custom reflectors to direct spill light onto the trusses, so the municipality responsible for maintaining the bridge doesn’t need to handle any specialty lighting equipment. This means that neither the Burgoyne nor Vimy bridge require additional energy, fixtures or conduit for the decorative truss lighting. Congratulations to the design engineers at Parsons, and the rest of the project team. 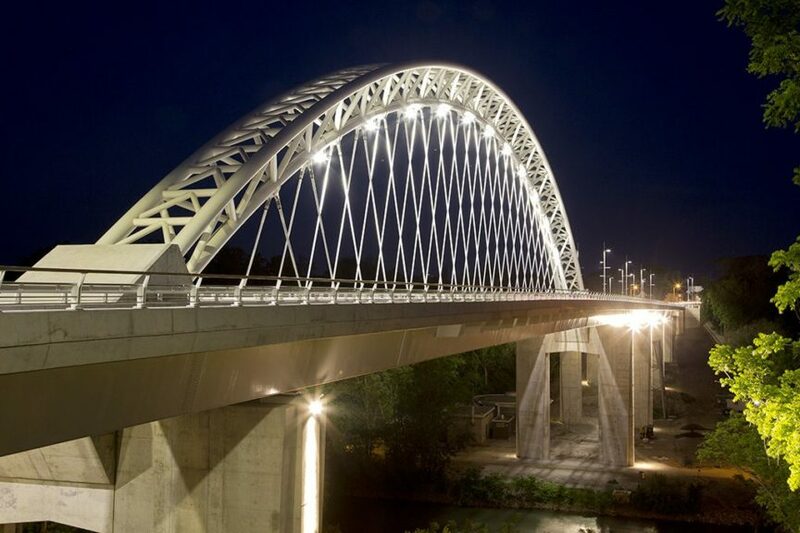 Gabriel Mackinnon was able to leverage our experience illuminating bridges for this local landmark; get in touch with us to see how our team can apply our wide ranging expertise to your project!